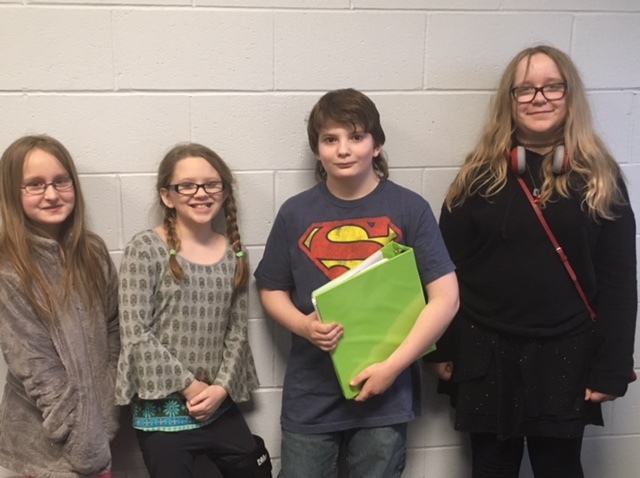 New members of the Western Reserve Rangers 4-H Club who were recently welcomed, above, from left are, Mikayla Salovich, Avery Mountain, Ivan Huber and Kahlan Wolf. Abby Susak, Emily Williams and Cayden Jones also are new members. Members and advisers who participated in the 2018 Volunteer and Teen Conference in March shared some activities they were involved in.